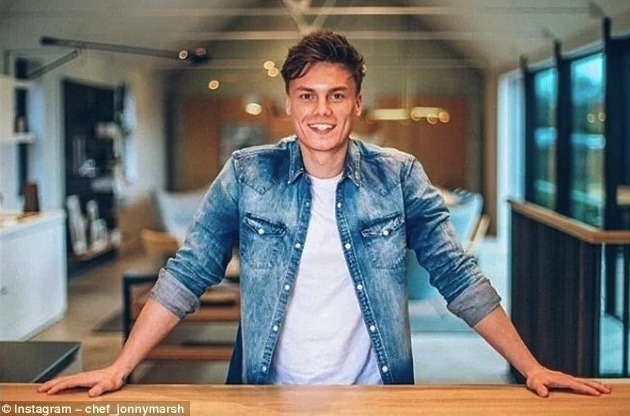 Jonny Marsh is the private chef of Belgium international Kevin De Bruyne, and he turned down a two-Michelin-star restaurant job for him to work for the Manchester City star. During the last Christmas celebration, Manchester City star Kevin De Bruyne was said to be looking for a cook before he met Jonny Marsh who has been cooking for him since then. Having started with De Bruyne, Marsh also looks after the diets of other players such as Ilkay Gundogan, Oleksandr Zinchenko and Kyle Walker, Everton goalkeeper Jordan Pickford, John Terry, Watford striker Troy Deeney and Crystal Palace pair Scott Dann and Conor Wickham. ”The player liaison officer at City rang me and was like look Kevin needs a chef over Christmas, are you available? ”I just had that feeling that something was going to come and I ended up cancelling quite a few events for Kevin. But it has obviously paid off now. It was one hell of a risk to cancel events at Christmas. I had a fully-booked Christmas before taking Kevin on. ”It was a massive gamble. I had two huge opportunities; to even get a response from a place like Noma is ridiculous, but to then be chosen and told your start date is here, it was overwhelming; then to get this call from City to tell me a player wanted my help. What’s happening since has just been mad,” Marsh told Sportsmail. Englishman Raheem Sterling scored the first goal for Manchester City before Bernardo Silva netted the winner in what was Unai Emery’s first Premier League tie in charge of Arsenal.